The Preventive Cardiovascular Nurses Association (PCNA) is excited to announce the winners of our slate of 2018 awards. PCNA is proud to recognize these individuals for their significant contributions to preventive cardiovascular nursing. The winners will be recognized during the Member Celebration and Awards Ceremony at the PCNA’s 24th Annual Cardiovascular Nursing Symposium on Saturday April 7. PCNA celebrates outstanding leadership by inducting Dr. Barry Franklin as an Honorary PCNA Fellow. Dr. Franklin is Director of the Cardiac Rehabilitation Program and Exercise Laboratories at William Beaumont Hospital, and Professor of Physiology at Wayne State University, School of Medicine in Detroit, Michigan. 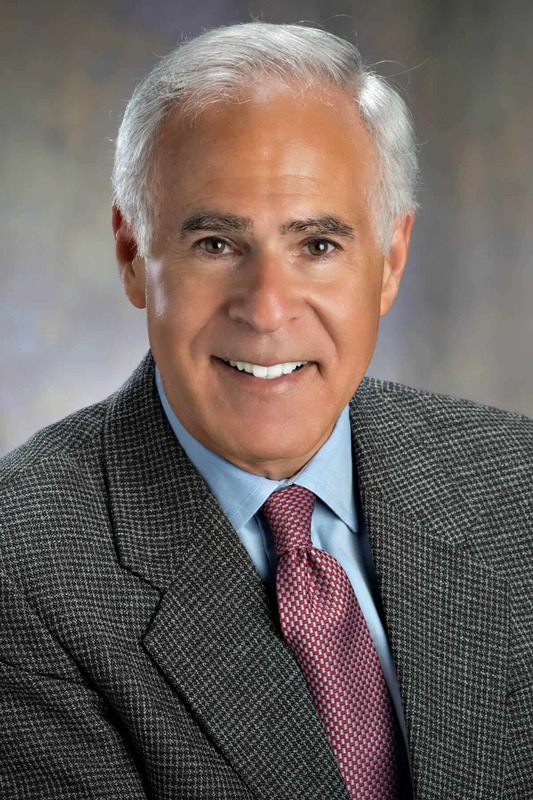 He is recognized for his many substantial contributions to cardiac rehabilitation and preventive cardiology, as well as his long-term and ongoing support of PCNA. PCNA also inducted three new fellows in 2018. The designation of Fellow of PCNA reflects not only the professional stature of the Fellow, but also their record of valuable service to our organization. The 2018 class of fellows includes Susan Halli Demeter, DNP, FNP-BC, CLS, Mayo Clinic, Arizona; Lisa Maher, DNP, ARNP, FNP-BC, Cedar Valley Cardiovascular Center, Waterloo, IA; Yvonne Commodore-Mensah, PhD, RN, Johns Hopkins School of Nursing; Heather Harker Ryan, PhD(c), MS, RN, University of Massachusetts – Boston; Elena Flowers, PhD, RN, Assistant Professor, University of California – San Francisco. The Advocacy Award for CVD Prevention is awarded to Karen Larimer, PhD, ACNP-BC, FAHA, who is recognized for her volunteer work on local, state and federal health policy advocacy. Her advocacy focus is on innovation and technology acceleration with a focus on community health. Most recently she worked to implement a sweetened beverage tax in Cook County, Illinois. 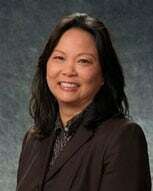 Karen is an Assistant Professor of Nursing at DePaul University in Chicago and is the current President of the American Heart Association (AHA) Chicago Board of Directors and is on the Illinois State Advocacy Committee for AHA. Celeste Chavez, BSN, MSN, FNP-BC, Heart Failure Nurse Practitioner of the Palo Alto Medical Foundation will be given PCNA’s Heart Failure Award for her role in helping to improve the care for patients with heart failure over the past 10 years. She is recognized for implementing a heart failure continuum of care model that incorporated telemonitoring to reduce readmissions back to the hospital. 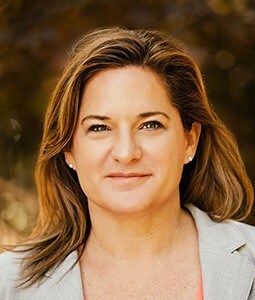 Celeste is credited for championing this model as a collaboration between Alta Bates Medical Center and Sutter Care in the San Francisco Bay area and is now working to establish a heart failure transitions of care program at the Stanford Health Clinics in Stanford, California. 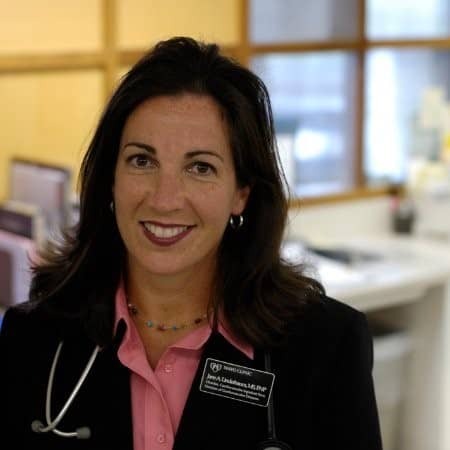 Jane A. Linderbaum, MS, ARNP, AACC of Mayo Clinic will be awarded the Terry Thomas Clinical Practice Award for her excellence as a cardiovascular nurse practitioner, mentor, teacher and researcher. She is recognized for her work at the Mayo Clinic in Rochester, Minnesota where she has designed and implemented the first non-resident cardiology patient care service staffed by an attending cardiologist, Nurse Practitioners and PA’s providing 24/7 coverage to acutely ill cardiovascular patients. This innovative team-based care model has served as a template for other services within the Mayo Clinic’s facilities as well as other institutions throughout the country. Celeste Chavez has been working to help improve the quality of care of patients with Heart Failure for the last 18 years, impacting the lives of thousands of patients in Sutter Health. All of her work has been at Sutter Health facilities. Her most significant work was in 2006 when she worked on a collaborative project between Alta Bates Summit Medical Center and Sutter Care at Home to improve the transitions of care for patients being discharged from the hospital to their homes, developing and implementing the Heart Failure Continuum of Care model focusing transitions the patient experiences after hospitalization providing Telemangement and home visits to patients who were at risk for readmission. This model of care was later expanded to other East Bay Region Hospitals and the core interventions were implemented across all Sutter Health hospitals. Most recently, Celeste joined the Palo Alto Medical Foundation as a Nurse Practitioner to start a post hospital discharge transition clinic. Her work across the continuum has educated clinicians, administrators, patients and family members to ultimately improve the patient experience! Dr. Yvonne Commodore-Mensah is an Assistant Professor at Johns Hopkins School of Nursing. She earned her Ph.D. in Nursing from Johns Hopkins University and B.S.N. from Fairleigh Dickinson University. Her program of research seeks to reduce cardiovascular health inequities in African descent populations through community-engaged research. She received the American Heart Association(AHA) Martha N. Hill New Investigator Award in 2016 and is a member of the Council on Cardiovascular and Stroke Nursing of the AHA. She received a KL2 Mentored Career Development Award in 2017. She won the best abstract award in the databased-category at the 2015 PCNA Annual Symposium. She has served as a member of the PCNA Abstract Review Committee since 2015 and currently serves as the PCNA representative on the writing committee for the AHA/ACC Hypertension Measures Set Update. She is also a member of the 2018 PCNA Annual Symposium Planning Committee. 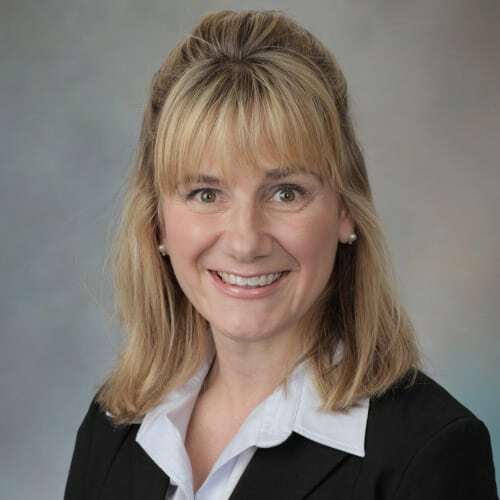 Susan Halli Demeter, DNP received a Bachelor’s degree in Nursing and Psychology from Elmhurst College and graduated from Rush University with a Doctor of Nursing Practice degree as a family and community health nurse practitioner. She currently works at Mayo Clinic Arizona in Cardiology and has participated in the development of the Heart Health & Performance Program, Lipid Clinic, and Weight & Wellness Solutions Clinic. She is a faculty associate at ASU for the DNP program and precepts NP students from various colleges and universities. She is a board certified lipid specialist and is currently a member of the Board of Governors for the Accreditation Council for Clinical Lipidology. She is also on the national membership committee for the Preventive Cardiovascular Nurses Association. Susan has presented at numerous conferences for Mayo and PCNA on hyperlipidemia, hypertension, metabolic syndrome, and cardiovascular risk prevention. She had presented research data at the American College of Nurse Practitioners, Preventive Cardiology Nurses Association, and the American Academy of Nurse Practitioners Annual Conference. Barry A. Franklin, PhD, FACSM, MAACVPR, FAHA serves as Director of Preventive Cardiology and Cardiac Rehabilitation at Beaumont Health, Royal Oak, Michigan. He also holds faculty appointments as Professor of Physiology, Wayne State University School of Medicine, and Professor of Internal Medicine and Biomedical Engineering, Oakland University William Beaumont School of Medicine. Dr. Franklin is a past editor-in-chief of the Journal of Cardiopulmonary Rehabilitation and Prevention as well as a past president of the American Association of Cardiovascular and Pulmonary Rehabilitation (AACVPR, 1988) and the American College of Sports Medicine (ACSM, 1999). Dr. Karen Larimer is an Assistant Professor at DePaul University’s School of Nursing in Chicago. In addition to her faculty role, she is a consultant to researchers and start-up companies in patient and clinician electronic interface, trial design and the institutional review board process for drug, device and social science research. Her current research focuses on cardiac device management in both heart failure and arrhythmia patients. 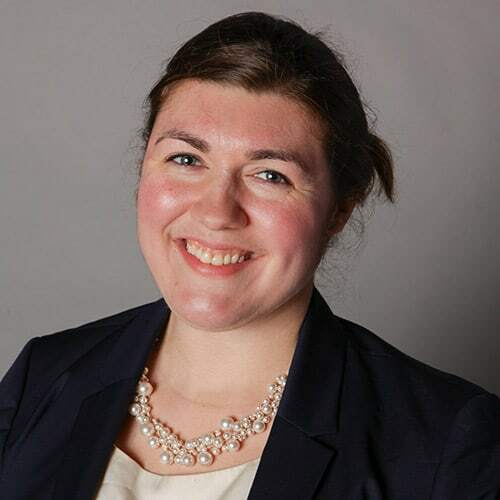 She is an active volunteer for the American Heart Association focusing on innovation and technology acceleration as well as local, state and federal health policy advocacy. Her latest endeavor was focused on the sweetened beverage tax in Cook County. She is currently the President of the American Heart Association Chicago Board of Directors and on the Illinois State Advocacy Committee. In her role as an educator, she teaches about health promotion in the community. She has a keen focus on community engagement and is an innovator in Community-based Service Learning. She works with non-profit organizations implementing this pedagogy at DePaul’s School of Nursing. Her work has received funding to evaluate and implementation of the pedagogy CbSL and associated service projects. In addition, she serves on the board of the Catholic Charities for the Archdiocese of Chicago. A graduate from Vanderbilt University with a BA in English and Political Science, she went on to pursue a MSN also from Vanderbilt and was ultimately board certified as an acute care nurse practitioner. Her clinical experience includes the subspecialties of acute cardiac care, heart failure, interventional and preventive cardiology. In addition to clinical care, she coordinated investigator initiated and multi-center trials and has been a director of two health-focused research foundations. She earned her PhD in 2011 from Loyola University Chicago, Niehoff School of Nursing. Dr. Larimer’s dissertation project was a community assessment of cardiovascular health and risk in people of Mexican descent in Berwyn, Illinois. 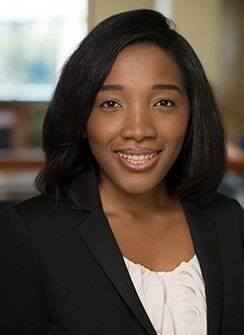 During her PhD program she was awarded a year long fellowship for the Albert Schweitzer Fellows Program and the Preventive Cardiovascular Nurses Association Cardiovascular Disease Prevention Graduation Award for demonstrating a strong commitment to the prevention of CVD through excellence in nursing research. Jane Linderbaum is an Associate Professor of Medicine at Mayo Clinic in Rochester, Minnesota and the Associate Medical Editor for AskMayoExpert (AME), a point-of-care, content-delivery tool that aids Mayo Clinic providers in making the right clinical decision, for the right patient, at the right time. Jane leads teams of expert collaboration and consensus-driven creation of Care Process Models (CPMs), which are algorithmically, displayed best practices. Jane is a CV Nurse Practitioner and maintains a structural heart disease clinical practice focused on hypertrophic cardiomyopathy and valvular heart disease. Jane directed the Cardiovascular Inpatient Operations, leading the initial development of cardiovascular team model care, including NP/PAs and innovative interdisciplinary practice models. Jane directs Mayo Clinic’s Annual Internal Medicine Review Course for NP/PAs, since 1998. Jane is an Associate in the American College of Cardiology, awarded the Distinguished Associate in 2014. She is founding faculty and co-directs ACC’s Annual Core Curriculum Course in Washington DC. She is honored to participate in national guideline and competency authorship including the ST-Elevation MI, Stable Ischemic Heart Disease and TAVR guidelines.